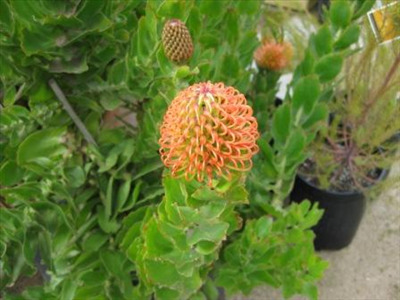 Large ornamental rounded shrub or small tree with a stout trunk and bright orange pincushion flowers usually in a cluster of 3. Excellent shrub for well-drained alkaline soils. Flowers best in open sunny position. 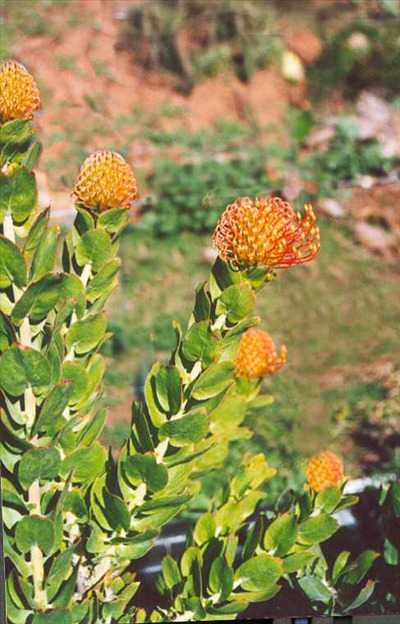 Grows well inland in low frost gardens and on the coast. Beautiful landscape shrub.